A little bit about Great Bay Wealth Management and the people behind it. Steve Johnson is the Founder and President of Great Bay Wealth Management, LLC. Mr. Johnson has over 30 years in the investment management industry. He started his career in the industry in 1983 as an Account Executive at EF Hutton & Co. 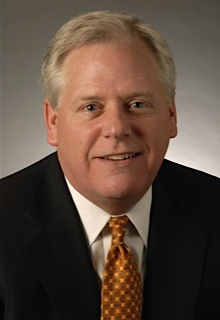 He has held several sales and management positions at investment firms UBS (formerly PaineWebber), Eaton Vance, Blackrock (formerly Compass Capital Group), Dreyfus/Bank of New York Mellon and most recently at ING Investment Management where he worked in the Private Wealth & Advisory Group as Vice President and Senior Regional Director, Southeast Region. Steve is a member of the Investment Management Consultants Association and earned their Certified Investment Management Analyst (CIMA©) designation in 2003 at the University of Pennsylvania’s Wharton School of Business. Mr. Johnson received his BA in Government from the University of Texas, Austin in 1978. A little about our name, Great Bay Wealth Management. Great Bay is a stunningly beautiful bay off the Caribbean island of St. Maarten. 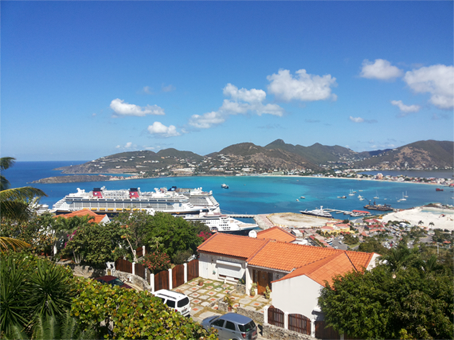 Inside Great Bay you can see the majestic cruise ships docked in Philipsburg, be amazed at the many private yachts, and watch graceful sailboats during the regattas. The view is breathtaking, especially from Villa Louisa, which sits atop a hill overlooking Great Bay. It is a very friendly, relaxing island where we have found peace and been inspired to plan our next journey. It is our goal to impart peace and inspiration to you in assisting with your wealth management. We look forward to taking the journey with you. Great Bay Wealth Management Home. About Great Bay Wealth Management.